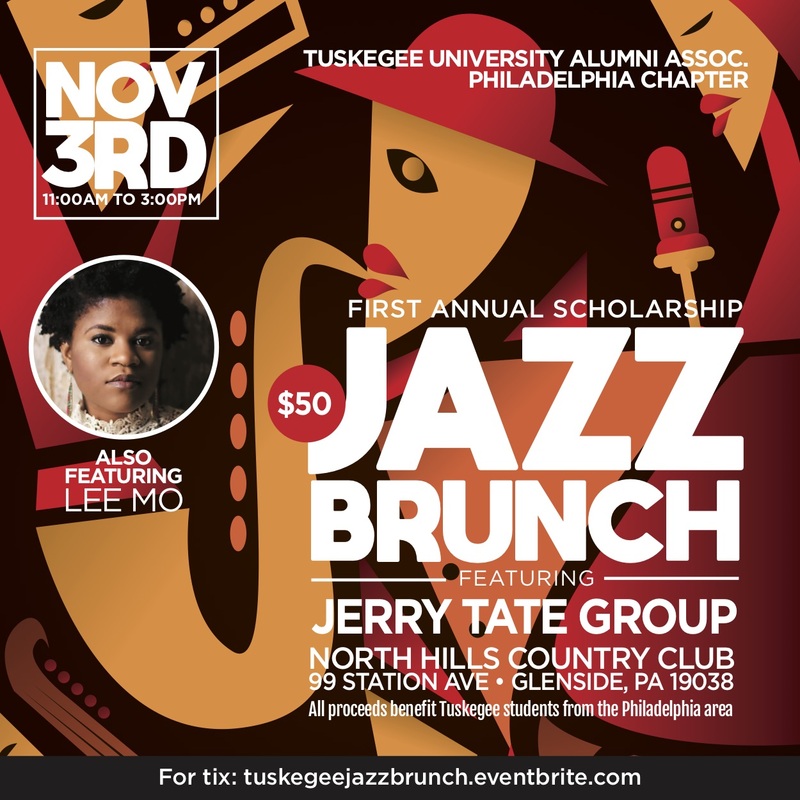 The Philadelphia Chapter of the Tuskegee University Alumni Association is proud to sponsor its 1st annual Scholarship Jazz brunch. Come out and enjoy the sounds of the Jerry Tate Group featuring the lovely and talented Lee Mo. 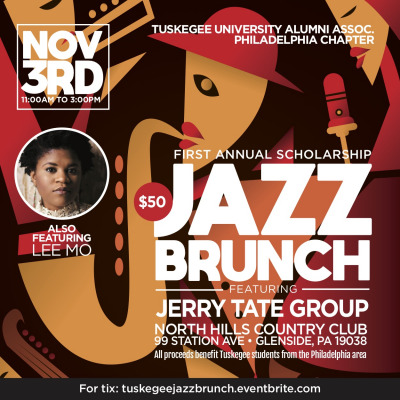 All proceeds benefit Tuskegee students from the Philadelphia area. This years honorees are radio personality Solomon Jones and the Honorable Judge Frederica Messiah-Jackson.